There are very few places on earth as strange and as strikingly beautiful as Garden of the Gods outside Colorado Springs, Colorado. This year has been an usually wet year here in Colorado, and the Garden of the Gods has be amazingly green, with wonderful wildflowers. 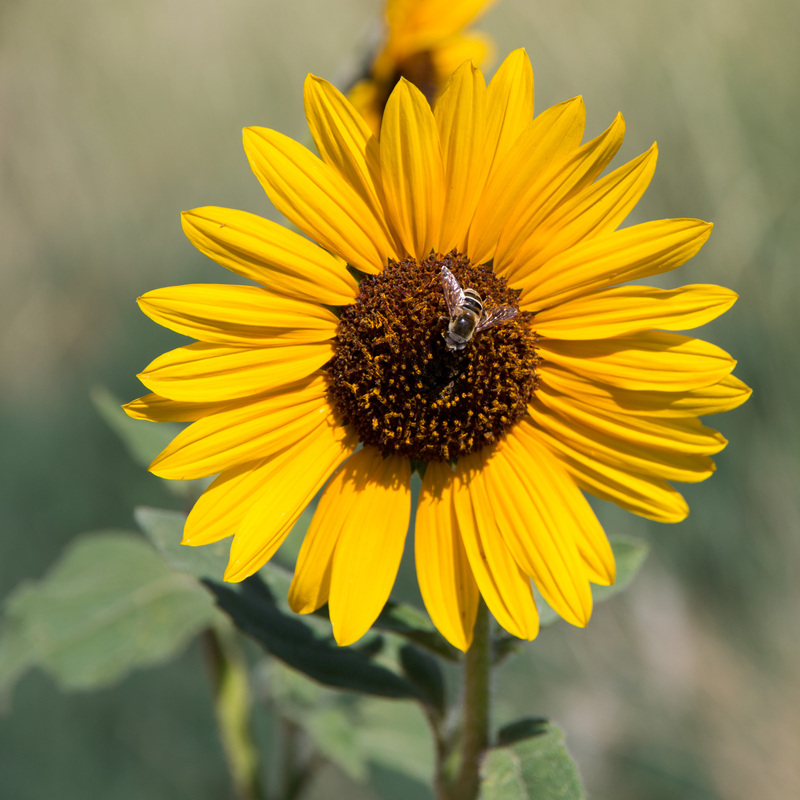 While hiking in the Garden of the Gods recently, a hiking companion pointed out this beautiful sunflower with a bee on it. The wind had died down, and it was almost like the bee was posing for the picture. The sunflower itself was awesome. It was as close to perfect as you can get in nature. Each of the petals were neither torn nor blemished. It was magnificent. The bee itself was also fantastic. 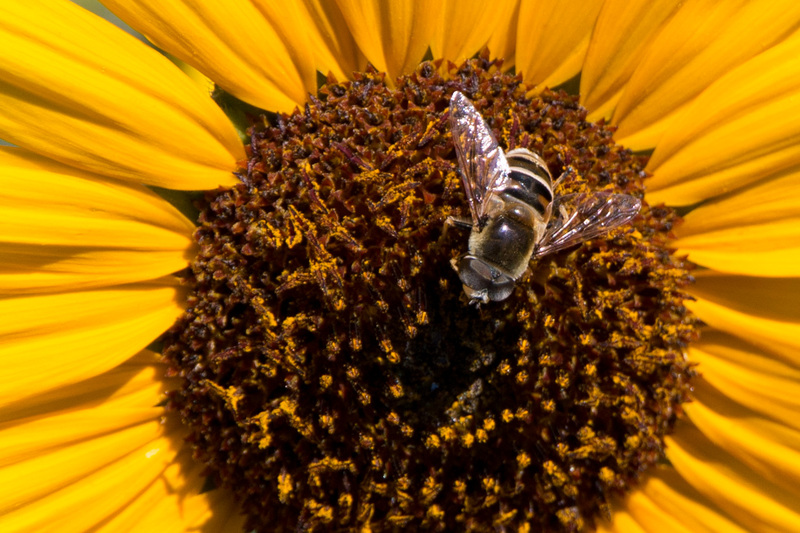 I absolutely love how transparent the bee’s wings are. I spent a good part of the day hiking all over the Garden of the Gods, and I will be posting more pictures in the very near future!